How fun will it be to not only read about their food, but actually get to taste it! You can also join the soup maker lineup and serve your soup alongside them. Scroll down to the bottom of this page to sign up to make a soup. All proceeds to the Donation Slow Cooker will go to Worthington Resource Pantry. So mark your calendars Souper Heroes for a souper special night of fun with food bloggers and community all to benefit those in need: Tuesday, February 19th, 6-8pm at BrewDog Short North - 1175 N High St, Columbus, OH 43201. Or just join us as a diner. All of our events are free. 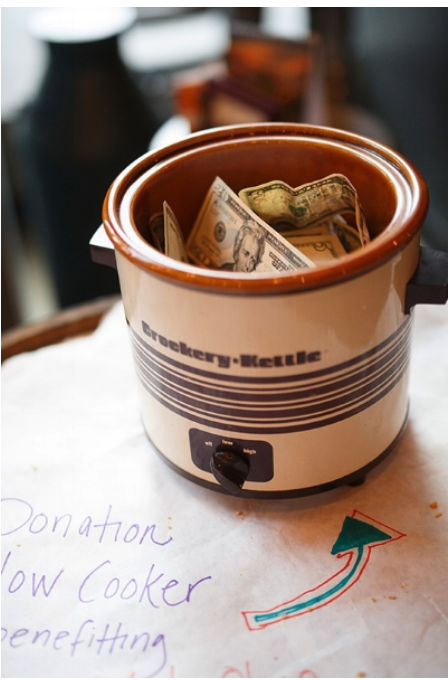 Enjoy all the complimentary soup and bread you'd like, dine with your community and take the opportunity to pay it forward in the Donation Slow Cooker.